Pests are an unfortunate part of life, and even the most careful and thorough of us will likely have one or two pest encounters eventually. Insects, rodents, or larger animals can all be considered pests and, as such, there are a variety of ways to not only get rid of them, but to prevent them from taking up residence as well. Here are 6 ways to build up your defences and prepare your home for pests this Spring. Food scraps are a big draw-card for organisms that live off the refuse of other organisms, namely pests. A compost bin is a great idea for environmentally-friendly disposal of plant matter, but it needs to be kept away from the walls of your home. Decomposing plant matter can draw all sorts of unintended guests, but insects are the most likely culprit. Ants and cockroaches are drawn to food and heat, and a compost bin near the walls of a house give off both of these. 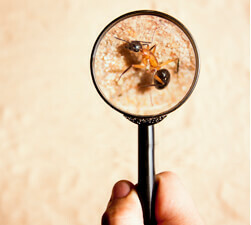 These insects are mostly harmless, and can even aid in the decomposition process. However, the closer to the house they are, the more these creatures are likely to venture inside. Rubbish of any kind is not only seen to be unhygienic, it also draws pests, which can often bring along with them a host of unpleasant materials and diseases. A large trash receptacle in the kitchen means fewer trips to the outside bin, but the rubbish in your indoor bin will sit for longer, making it a big draw point for vermin such as rats and cockroaches. Try downgrading your kitchen bin to a smaller size, as this will limit the amount of rubbish being kept inside at any given point. 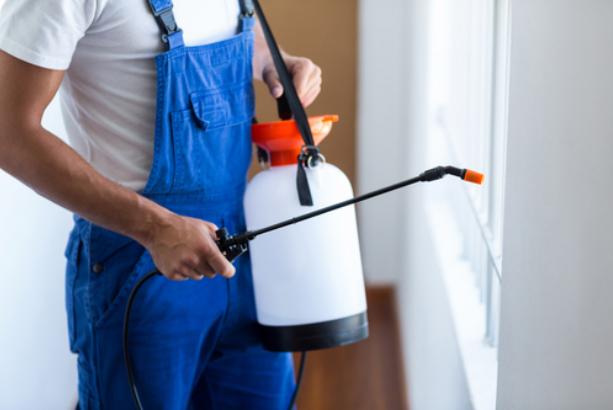 Foggers, or “bug bombs” are a variety of bug spray that is left to spray its entire contents in one or several rooms, then sink into the various surfaces to provide long-term pest protection. This is a great idea for preventative pest control, as it keeps pests from even entering the house for up to six months, although it won’t necessarily protect against everything. Rodents, such and rats and mice, can squeeze their bodies through tiny openings, so entrances and exits make their way onto this list. Checking all of their entrances and exits is key in preventing their entry. So, any cracks or gaps in the walls or floors should be considered a potential opening regardless of the size. Your house might be well organised, but is it clean by a rodent’s standards? Rats and mice seek out food no matter where it is, and bits of caked-on food around a stove, or a small, sticky, sweet residue left by a spilled soft drink can be irresistible to pests looking for a way in. Keeping your house spotless isn’t necessarily key, but cleaning up food residue or high-sugar products is strongly recommended, as is keeping types of flour in sealed containers to protect it from weevils and other bugs. Protecting your house from pests is easy when you prevent them from entering in the first place, as most of the battle in getting rid of pests is clearing them from the house once they’ve taken residence. Now is the time to start to preventing springtime pests from ever entering your home, so get in touch with the qualified pest control experts at Dawson's Pest today!